Pacekids Programs is pleased to announce that we are Milk Jar Candle Co’s featured not for profit for 2019. Milk Jar is a soy candle company in Calgary that produces affordable and clean burning candles to the local market. The driving force behind the creation of Milk Jar Candle Company was to give back to a community that holds a special place in Milk Jar’s heart. $1 from the sale of every scented soy candle is donated to special needs programs for youth in Calgary, AB. Pacekids is honoured to be the charity of choice this year. 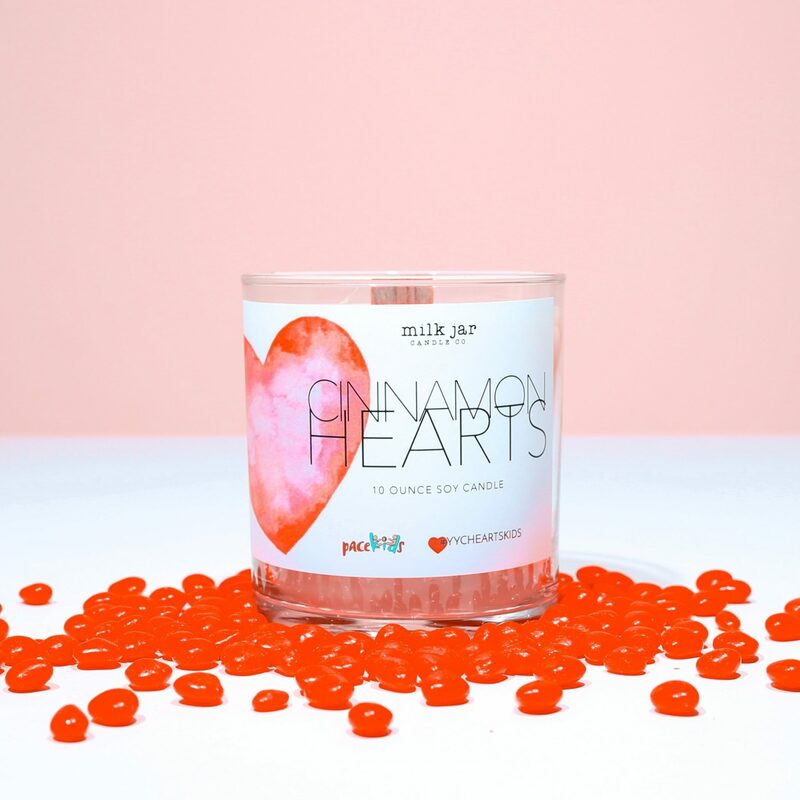 For the month of February, $10 from the sale of every Cinnamon Hearts Milk Jar will be donated to #YYCHeartsKids, in support of Pacekids. #YYCHearts kids is a community-driven initiative in support of Pacekids Programs. Candles can be purchased at either Pacekids location or at www.milkjar.ca. Thank you Milk Jar Candle Co. for thinking of Pacekids and helping to change the lives of children with special needs!